– After strong interest in the private beta, Opera is opening the crypto wallet to a larger audience for testing. On July 11, Opera became the first major browser to introduce a built-in crypto wallet. 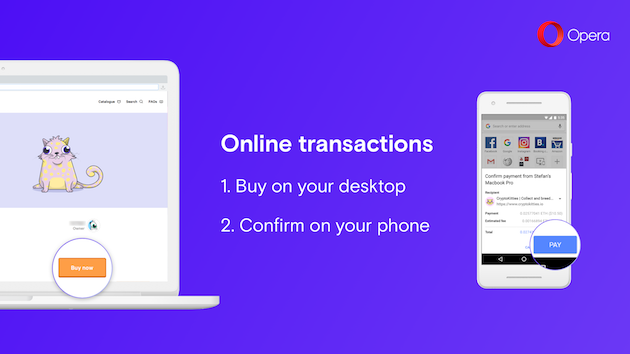 Opera for Android with crypto wallet enables seamless transactions on the web, and removes one of the biggest hurdles preventing cryptocurrencies from being adopted by the mainstream. 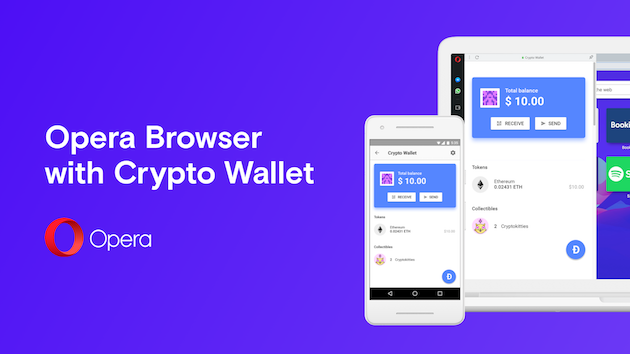 After the overwhelmingly positive response of the crypto-community and users to the crypto wallet in Opera for Android, Opera has decided to open up its popular PC browser to the mobile crypto wallet. The crypto wallet in Opera for PCs removes two main obstacles currently associated with managing cryptocurrencies. Firstly, Opera users will no longer need to install and set up a crypto wallet extension in their PC browser. All they will need to do is to connect their Opera PC browser with the crypto wallet-enabled Opera mobile browser by simply scanning a QR code on their Opera PC browser. This will grant them access to their mobile wallet with cryptocurrencies and collectibles. Secondly, the phone’s secure system lock will be used to store the keys. This will allow people to sign transactions with their fingerprints instead of using long passphrases, while maintaining the highest level of security. “Some users prefer to perform crypto payments or interact with Dapps on their desktop. They can now do so in a simple way by using the same wallet they have on their mobile phone,” added Charles Hamel. The Crypto wallet in Opera for Android is a user-controlled wallet, which means that the keys controlling the funds and assets are stored on the user’s phone and nowhere else. It supports tokens and collectibles. Collectibles are digital, unique “assets” you can own on a public blockchain. Following a strong interest in the mobile solution first tested in Opera for Android as a private beta in July 2017 is now being gradually opened up to a larger audience. You can sign up to join the private beta by clicking here. support marks the next step in the company’s long-term strategy of meeting the needs of more demanding users with built-in features. 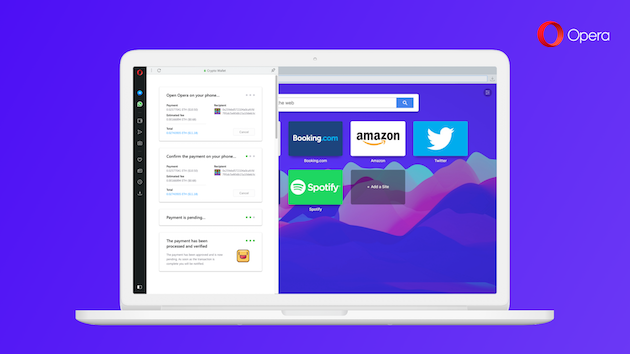 Opera browsers are designed for people who opt to diverge from their devices’ default browsers in the favor of more sophisticated, yet easy-to-use solutions. “At Opera, we try to stay at the forefront of innovation. Our next aim is to make crypto-integration mainstream. We believe blockchain technology has the power to transform the web of tomorrow and expect it to make a big difference in the years to come,” said Krystian Kolondra, Opera’s EVP Browsers.